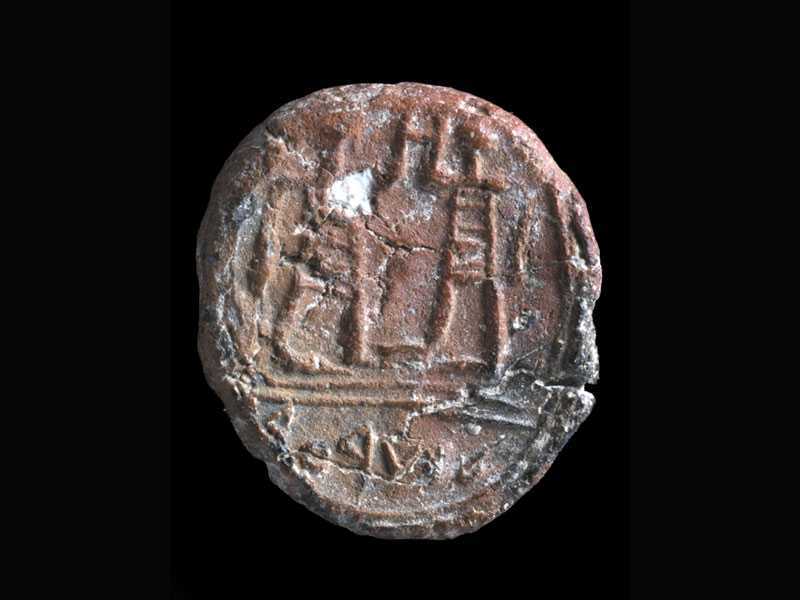 JERUSALEM — The discovery of a 2,700-year-old clay seal dating back to the era of the First Temple is being viewed as another fascinating support of information already outlined in the Bible. The Israel Ministry of Foreign Affairs reported on Monday that the stamped clay docket was found in the Western Wall Plaza during an archaeological excavation and features a depiction of two men wearing knee-length striped garments with the words “the governor of the city” below in ancient Hebrew. Dr. Shlomit Weksler-Bdolah, who led the excavation, said that the seal most likely served as a souvenir from the governor of the day, one of the highest ranking officials appointed by the king. “The finding of the sealing with this high-rank title, in addition to the large assemblage of actual seals found in the building in the past, supports the assumption that this area, located on the western slopes of the western hill of ancient Jerusalem, some 100 m. west of the Temple Mount, was inhabited by highly ranked officials during the First Temple period,” she outlined. “[T]his is the first time that such a sealing is found in an authorized excavation. It supports the biblical rendering of the existence of a governor of the city in Jerusalem 2,700 years ago,” Weksler-Bdolah also noted. Professors Tallay Ornan of Hebrew University and Benjamin Sass of Tel Aviv University likewise remarked that both biblical and extra-biblical texts state that Jerusalem had a governor in ancient times. The Old Testament, read by Jews and Christians alike, mentions the governors of Jerusalem in at least two historical notations. “And he brought all the priests out of the cities of Judah, and defiled the high places where the priests had burned incense, from Geba to Beersheba, and brake down the high places of the gates that were in the entering in of the gate of Joshua the governor of the city, which were on a man’s left hand at the gate of the city,” 2 Kings 23:8 reads. “Now in the eighteenth year of his reign, when he had purged the land, and the house, he sent Shaphan the son of Azaliah, and Maaseiah the governor of the city, and Joah the son of Joahaz the recorder, to repair the house of the Lord his God,” 2 Chronicles 34:8 also outlines. The seal was presented last week to current Jerusalem mayor, Nir Barkat, who remarked that “it is very overwhelming to receive greetings from First Temple-period Jerusalem.” The docket will temporarily be on exhibit in his office. Christian News Network reached out to Answers in Genesis for comment on the discovery. Researcher Tim Chaffey said that the find is yet another confirmation of what is already written in the Scriptures. “The ancient clay seal found near the Western Wall dates to the First Temple Period and mentions the governor of the city. The Old Testament refers to the position of governor in Jerusalem during that time, a role appointed by the king. Thus, this discovery appears to be yet another in a long line of archaeological finds corroborating the accuracy and historicity of the Bible,” he said.